The new age of body diversity. With a new wave of social media activists flooding our IG, rock-star models representing an inclusive definition of beauty, and change-making brands redefining how the fashion industry markets to women, body positivity is more relevant than ever. But what does the wider movement mean for how we cultivate our own sense of worth, and where does the wellness industry play its part? 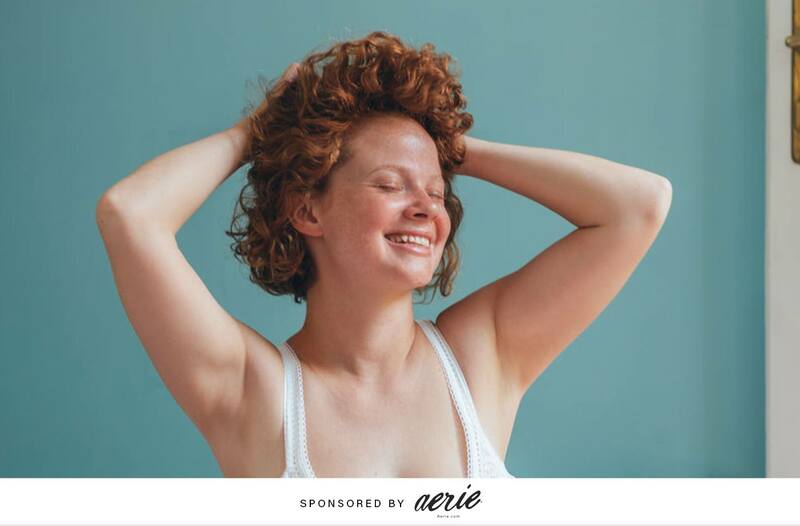 In our next TALK, you’ll hear from body activist and Aerie model Iskra Lawrence, self-love guru Nitika Chopra, and self-described curvy-fashion blogger Chastity Garner Valentine on this new frontier. Moderated by Well+Good editor-at-large Erin Hanafy, you’ll join an open discussion about how the definition of a “healthy” body is forever changed for the better, how wellness is playing a part, and what this movement—defined by women, for women—means for you. Iskra is an international model, self-care advocate, and body diversity champion devoted to improving the image of women in the media and encouraging body positivity. As Aerie’s #AerieReal Role Model, Iskra appears prominently in the brand’s campaigns which use only unretouched images. She’s been featured as one of the BBC’s World’s 100 Most Influential Women, is a brand ambassador for the National Eating Disorders Association, and has contributed to Time, the Huffington Post, and Self magazine. After being diagnosed with debilitating psoriatic arthritis, Nitika went on a journey of self love that led her to a deep commitment to overcoming life’s obstacles through wellness and self care. Today, she preaches the importance of being comfortable in your own skin, and of falling in love with yourself—from the inside out. Nikita coaches private clients in empowerment, acts as a beauty expert on QVC, and has been featured in publications like Lucky magazine, The Huffington Post, and on Well+Good as a (Re)New Year expert. Chastity is a major figure in the curvy fashion scene, sharing style intel and empowerment on her site Garnerstyle.com and on social media to over one million followers. She’s the co-founder of theCURVYcon—a lifestyle conference for curvy women and premiere plus-size fashion event—and has been featured in the New York Times, Elle magazine, and on Oprah.com as an inspirational fashion and body positive icon. A former editor at the Associated Press and current Well+Good editor-at-large, Erin has a deep background in journalism as well as expertise in meditation, reiki, and Ayurveda. She regularly writes about women’s empowerment, body positivity, and self love through a wellness lens, speaks on panels on topics across the wellness spectrum, and preaches positivity daily. Well+Good TALKS is your front-row seat to the industry insiders, brainy entrepreneurs, and healthy celebs at the forefront of wellness with monthly chats on the buzzy topics that are shaking up the scene right now.